What brings a proud and accomplished Marine veteran with a family to the point of ending it all? In a post this week on the New York Times’ At War blog, medically retired sergeant Thomas James Brennan describes in raw detail how he nearly became a statistic: one of the estimated 22 veterans a day who fall victim to suicide. 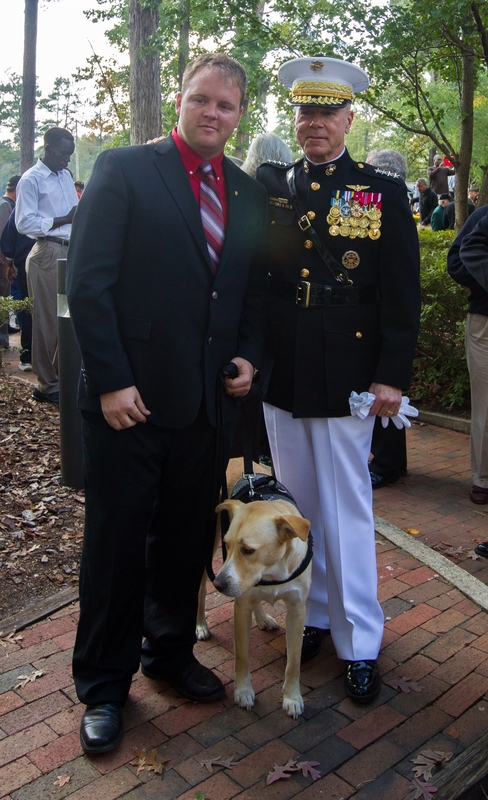 Brennan, now a military reporter with the Daily News of Jacksonville, N.C., wrote he reached his point of despair Dec. 28, 2012, just days shy of medical retirement. He suffered a traumatic brain injury in Afghanistan in Nov. 2010, an event that was documented by New York Times photographer Finbarr O’Reilly, who happened to be embedded with his unit. “I stared intently at my grease-stained pair of Marine Corps-issued boots strewn across my bedroom carpet. I locked my gaze on the debossed eagle globe and anchor on the outside of each heel. I wondered if asking for help for my post-traumatic stress disorder and traumatic brain injury was the smartest decision – after all, it had ended my career,” he wrote. Feeling he was losing his identity as he left the Corps after ten years, Brennan said he wrote a suicide note to his wife and tossed back a bottle of sleeping pills. But the image of his young daughter grieving over his flag-draped coffin and later confronting the truth of how he had ended it made him cough the pills back up and seek medical help. In a phone interview today with Marine Corps Times, Brennan, 28, said this account of his brush with suicide took him six months to write: his first drafts explained the facts, but left out the vulnerable emotion of what he experienced. “I took a hard look at myself and realized that to be honest, I had to throw everything down on paper,” he said. That included the rejection and distrust from military superiors after admitting he needed help, his own feelings of worthlessness, and the unsatisfactory and inconclusive way he did receive help following his suicide attempt, which involved hours in a cold emergency room and a four-day hospital stay without counseling or answers to his questions. “I had wasted three days – three days that convinced me I would never ask for help from someone new ever again,” he wrote. Life looks somewhat different for Brennan now: he has spoken about some of his experiences at Harvard and elsewhere and is working on a long-term project with the Daily News to interview the dozens of surviving World War II veterans in the region. He recently received a service dog, and “repupter” Luke, who makes it possible for him to enter large crowds of people when he needs to cover a story, something that triggers his most severe post-traumatic stress symptoms when he’s on his own. 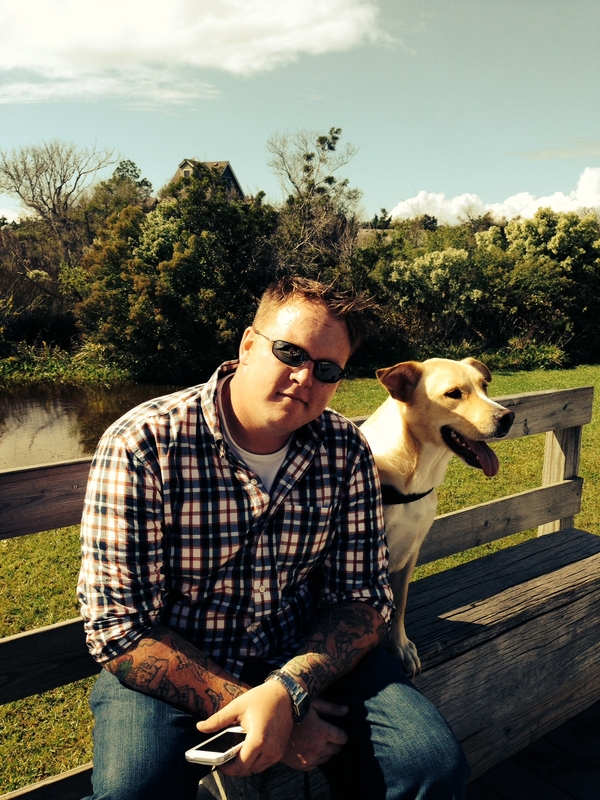 He is helping connect other Marine vets with service dogs through his recent initiative Fog of War, Inc. and the Paws Project. Though he has been open about the way a few of his Marine leaders mistreated him after he sought help, he said he believes Marine culture is changing in that regard as well. “Through my interactions as a reporter working with the Wounded Warrior Battalion, it looks like the Marine Corps is fostering a different environment than it was two and a half years ago,” he said. And his attitude about seeking help has changed too. Disclosure: Hodge Seck previously wrote for the Jacksonville Daily News. Good job for looking after yourself. Leadership will give you a cold shoulder everytime. and they have the audacity to say they give a dam about their junior Marines. What a joke of MC leadership.